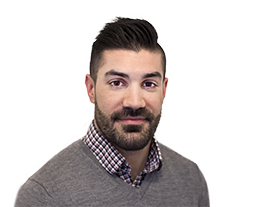 Prior to joining Accordant Media, Gian was a Buyer for supplements at Groupon where he worked with clients such as Optimum Nutrition, Muscletech and Allmax Nutrition. He studied accounting at Purdue University, but graduated from Lewis University with a BS in Marketing. Gian once signed up one week prior for a half marathon without training and could not walk for 5 days after. He also ate 84 pieces of sushi in one sitting.